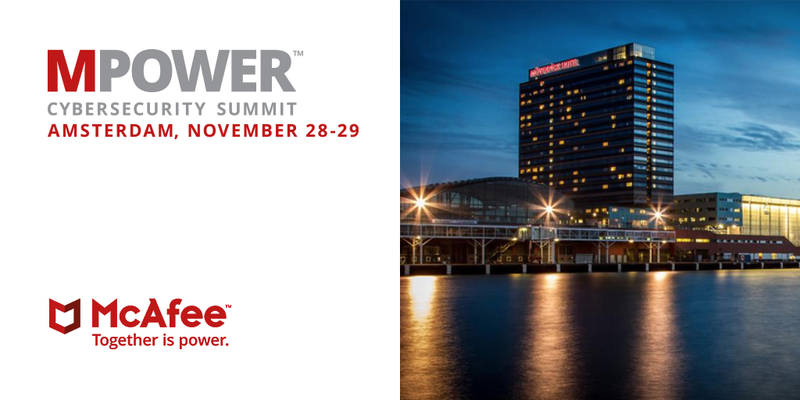 McAfee’s MPOWER event in Amsterdam on 29th November shone a light on artificial intelligence and machine learning as the industry continues to grapple with an evolving and complex threat landscape. With printers a key element of today’s IoT landscape, McAfee’s partnership with Xerox offers strong potential to raise the profile of the need for a proactive approach to print security. McAfee is once again facing life as a standalone security player, having been spun out from Intel in April 2017. The move was intended to give McAfee more independence to pursue ‘pure-play’ cybersecurity, particularly around IoT, having had few ties to Intel’s core hardware strategy. Less than eight months since its spinout, CEO Chris Young says the company is working to accelerate innovation and growth. As proof of its intentions to move into new security areas, it has announced its first acquisition, Skyhigh Networks, a specialist in cloud security. In a landscape where cyber attackers are constantly innovating, McAfee described how the emergence of pseudo ransomware and adversarial machine learning will shape the future cybersecurity landscape. With the advent of big data and IoT, machine learning can enable faster and more accurate threat intelligence. McAfee Investigator, launched in October 2017, leverages AI, analytics and machine learning to collect and visualise cyber threat data. This has strong potential for malware detection on endpoints such as printers. Although Xerox and McAfee first partnered on print security in 2013, it is only more recently that the two companies have begun raising the profile of the partnership. Given that both companies have reset their businesses in 2017, it is perhaps opportune for them to now breathe new life into their partnership. With the heightened awareness of IoT security, Xerox is leveraging its partnership with McAfee to raise the stakes around the need for a robust and proactive approach to print security. In particular, the new Xerox CISO, Dr Alissa Johnson, is proving to be a powerful evangelist for IoT security, clearly demonstrated at an MPOWER session which she hosted with Christaan Beek, McAfee’s lead scientist, entitled Securing IoT is not a Mission Impossible. Networked printers and multifunction peripherals (MFPs) are well established as IoT endpoints with multiple points of vulnerability, and the need for better security defences cannot be overstated. While all print vendors offer a range of embedded hardware and software security features, Xerox to date is the only one to partner with an established security vendor. Intrusion prevention. This includes user authentication, roles-based access control and audit trails. Xerox ConnectKey Technology will also intercept attacks from corrupted files and malicious software. System software is digitally signed so any attempts to install infected, non-signed versions will result in the file being automatically rejected. Print files will also get deleted if any part is not recognised as legitimate. Device detection. In order to detect and alert on any changes to a print device, Xerox ConnectKey Technology runs a firmware verification test, either at start-up or when activated by authorised users. McAfee’s whitelisting technology is embedded in all Xerox ConnectKey AltaLink products and constantly monitors and protects against malware. Document and data protection. This is enabled through either PIN or card release features to ensure documents are not released to unauthorised users. ConnectKey-enabled printers also let users lock down ‘to/cc/bcc’ email fields, limiting scan destinations to only those individuals with internal email addresses. Xerox ConnectKey devices also integrate with McAfee ePolicy Orchestrator (ePO), a product that allows IT administrators to unify security management across endpoints. In addition, Cisco Identity Services Engine (ISE) integration provides visibility of Xerox MFP endpoints to enforce security policies and compliance. As high-profile attacks continue to dominate the headlines, the attack surface expands and cyberattacks become more opportunistic, it is vital to protect IoT devices such as printers. This means implementing a multi-layered approach that tackles the multiple points of print security vulnerability. Organisations must identify, patch, update and replace vulnerable print devices on their network. It only takes one rogue device to enable an attacker to gain access to the network – through an unopen port, for instance. The Xerox ConnectKey platform offers strong security credentials which are further enhanced by McAfee technology. In order to truly raise the bar on print security, Xerox should further leverage the McAfee relationship to offer advanced capabilities around machine learning, analytics and AI. In today’s IoT landscape, effective threat detection, prevention and remediation will be key to advancing print security. With deeper functionality in this area, Xerox has the potential to deliver strong print security differentiation in the market.